SPACE is a project funded through the Erasmus + Programme of the European Commission. It intends to answer to the training needs of school teachers, that are the main target group of the project, in order to make them acquire competences to prevent/contrast cyberbullying. SPACE wants to develop a MOOC (Massive Online Open Course) for school teachers on cyberbullying, and to organize and make retrievable the Open Education Resources about cyberbullying available on the web. ISTITUTO COMPRENSIVO BOZZANO, the Applicant, has carried out several actions aimed at countering the phenomena of bullying and cyberbullying, including projects on legality, in collaboration with Carabinieri and Guardia di Finanza; projects for online risk prevention, in partnership with the ASL of Brindisi in the framework of the Regional Strategic Plan for health education; administering questionnaires as part of the activities coordinated by the Ministry of Education; participation. LEARNING COMMUNITY, Independent institute of research and educational experimentation (National Register of Researches 61869FGO), a think tank for innovation in the fields of Education and Training, with a consolidated experience in methodologies for training and use for educational purposes of social networks and social media. IISS MAJORANA, at the cutting edge of school innovation, recognized as an authoritative point of reference at European and national level in the application of new educational approaches and new technologies in schools. 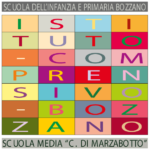 Since 2012 the Institute has replaced the traditional school texts with Open Educational Resources (www.bookinprogress.it) produced by teachers and students. ESHA, European Heads Association Association, is the leading network for European school leaders. The members of the ESHA are national associations of school heads and deputy heads of institutions of primary, secondary and vocational education. Almost all European countries are represented within ESHA by one or more associations. ESHA creates connections between school leaders, researchers and policy makers with the aim of learning from one another and improving education systems. CENTRO SAN VIATOR offers courses ranging from kindergarten to advanced training; has participated in various types of European projects over the past 14 years, both as a partner and as an applicant. Active in mobility actions, every year it sends abroad about 55 students and 35 teachers and receives no less than 25 students and 20 teachers. He has participated in two projects on the Early School Leaving, which have allowed to reduce the number of young people who leave the school prematurely. MERKEZ ATATURK ORTAOKULU, secondary school in a pre-accession country, has already participated in the Erasmus + TASK project. It is one of the schools of excellence in Turkey, and among the various activities organizes scientific events for the presentation of the results of the national projects of which it is a partner. AGRUPAMENTO DE ESCOLAS DE CONDEIXA-A-NOVA it is a group of schools that includes different levels of education (from kindergarten to secondary and professional school). It has about 1672 students, distributed from kindergarten, to upper secondary school. The school is located near the city of Coimbra in the central region of Portugal. He is a newcomer in Erasmus + projects. The project has started on 01 October 2017 and has a duration of 24 month. The MOOC on cyberbullying will be realized in the second project year in the partners’ languages. If you are a teacher, a headmaster, or an expert dealing with cyberbullying and want to take part in the project enrolling in the MOOC or want to be involved in the project’s events and activities, contact us.